Situated on the splendid island of Naxos, in Naxos Town (Hora), Chateau Zevgoli, the Apollon Hotel and Castro Residence offer a stylish accommodation for a memorable stay next to the entertainment venues, shops and transportation hubs of the island. 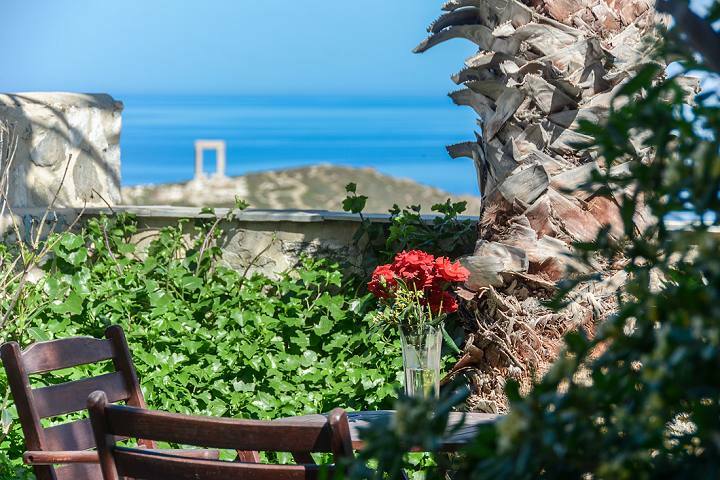 Chateau Zevgoli is located in the beautiful region of Castro in Naxos Town (Hora). The hotel is built in the Cycladic architectural style, and is just 500 m from Grotta Beach, one of the loveliest beaches on Naxos Island. 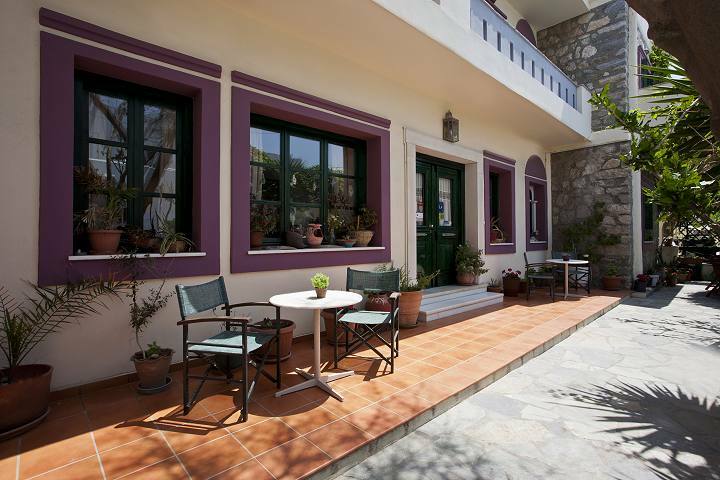 The Apollon Hotel is located in the picturesque quarter of Fontana in Naxos Town (Hora) Grotta area. The hotel is built in an excellent spot and offers easy access to all amenities, icluding the port of Naxos and the seafront. 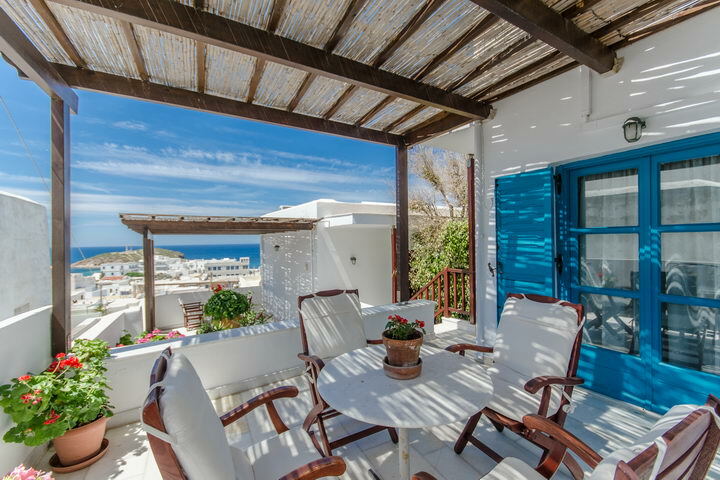 Next to Chateau Zevgoli is the Castro Residence, which is comprised of two lovely, fully furnished studios that provide pleasant accommodation in a peaceful environment and a spellbinding view of the Aegean Sea. Naxos Town (Hora) is the capital and port of the island. It is a seaside lively town with a Venetian castle and a maze of narrow streets and tiny passages. It is the starting point to tour and explore the island. Naxos Island is one of the most multidimensional and beautiful Greek Islands. Throughout the island there are picturesque villages, interesting archaeological sites, breathtaking natural areas, stimulating nightlife venues and magnificent beaches. Thousands of visitors from all over the world visit Naxos every year to spend an unforgettable holiday. "We stayed 3 nights in Chateau Zevgoli in the old town --the historic castro-- of the port town of Naxos. It was paradise !! The guest rooms are beautiful, and the reception and breakfast room have marvelous traditional Greek furnishings." "The two Castro Residences are in the Venetian castle, at least one level above all the other hotels and guesthouses in the main town (Hora)! Quiet, secluded, elegantly (and sensibly) furnished, with great views north to the Apollo Temple, charges were also reasonable." "Stayed here for 5 nights and thoroughly enjoyed our stay. Excellent location in very quiet area at the rear of the Cathedral but within a short walk of the restaurants and shops in the Chora. Very clean, well run hotel with a varied breakfast." "We stayed in this hotel for six nights while visiting Naxos. It was very well-located, right in the heart of the Chora (old town). From our balcony we looked over the white rooftops and had an amazing view of the Portara." "We loved this hotel. It's elegant and charming. The location is ideal, quiet but close to the port and bus terminal, an easy walk to sites and restaurants. The staff was amazing, friendly and helpful." "I have been staying at Chateau Zevgoli for years and love it. It is a small hotel where you feel at home with a delicate and charming old Greek atmosphere and decor. The owner, Despina, is an exceptional and glamorous hostess who will seduce you." We are eager to welcome you to the magnificent island of Naxos, Greece!